State Supreme Court Justice Dawn Jimenez-Salta heard attorneys’ arguments in her chambers on Friday in the case of an advocacy group suing to halt the sale and development of the Brooklyn Heights Library. Justice Jimenez-Salta will be holding the papers for several weeks to review and write a decision, a court source told the Brooklyn Eagle. While a judgement should be rendered within 60 days, she hopes to reach her decision sometime before that. The group Love Brooklyn Libraries, Inc., headed by Brooklyn resident Marsha Rimler, is suing New York City, Brooklyn Public Library (BPL) and a number of other entities in an attempt to shut down the library’s sale to developer Hudson Companies. Roughly 20 library supporters filled the seats in the courtroom of Friday, along with a phalanx of attorneys representing the city, the library and the developer. Rimler, who is represented by environmental attorney Richard Lippes of Lippes & Lippes, had no comment following Friday’s conference. Hudson plans to build a 36-story luxury tower with a new, smaller Brooklyn Heights branch on the ground floor and below ground. As part of the deal, 114 units of affordable housing will be built in Clinton Hill. The project also includes a dedicated science, technology, engineering and mathematics (STEM) education lab for the local school district and a small library branch in DUMBO. In papers filed by the group’s attorney Richard Lippes, Love Brooklyn Libraries, Inc. challenged the project’s environmental assessment under the State Environmental Quality Review Act (SEQRA). Some of the environmental issues that received inadequate consideration in the city’s review, according to Love Brooklyn Libraries, Inc.’s legal petition, include the already high level of local traffic, and the cumulative impacts on traffic from other nearby projects going on at the same time. These include the repair of the Brooklyn-Queens Expressway and the Brooklyn Bridge upgrade. The group also says that the project will cast a shadow on nearby Cadman Plaza Park. Another impact listed is the loss of the Business & Career Library as well as the federal document depository. These facilities are moving to the Central Library in Prospect Heights. In addition, the group argues that the city never considered the importance of either the library’s architect, Francis Keally, or the artist that did the stone friezes on the library façade, Clemente Spampinato. According to legal documents filed by the city, however, the project’s 271-page Environmental Assessment Statement (EAS) was prepared according to the standards of the City Environmental Quality Review Technical Manual, which governs environmental review in New York City. The EAS received input from “numerous city agencies,” according to the city. Under the thresholds set in the Technical Manual, the project does not generate enough vehicle trips to warrant further traffic studies, the city argues. The city also says the advocates disregarded the “precise analysis conducted in the EAS” of the project’s shadows. This analysis is upheld by the Technical Manual, the city argues. The group’s claim that the city ignored the architectural significance of the library and its creators is “belied by the text of the EAS, which expressly discusses those topics, and the findings of the New York City Landmarks Commission (LPC),” which found that the library was not architecturally significant, the city said. The city also says that the Business and Career Library and federal document depository are scheduled to be moved from the Brooklyn Heights branch to BPL’s Central Library with or without the project, making the advocates’ point moot. BPL says the current library building is decrepit and needs $9 million in repairs. The sale of property and air rights will generate $40 million for other branches across the borough. 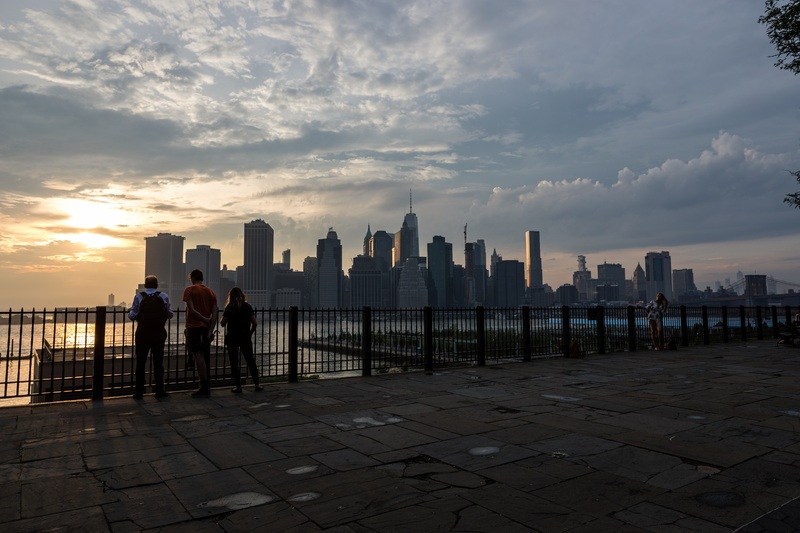 While generating much controversy, the project was nonetheless approved by the local Community Board, the City Planning Commission and the New York City Council under the City’s Uniform Land Use Review Procedure (ULURP). It also received the support of the Brooklyn Heights Association, a fact noted by the city in court papers. Along with the city and BPL, also named in the lawsuit are St. Ann’s School, Our Lady of Lebanon Maronite Catholic Church, the Brooklyn Borough Board and Cadman Associates LLC. Other Love Brooklyn Libraries, Inc. petitioners include Ellen Kaufman-Nuzzi, Sheppard Peterson and Martha Ramos.